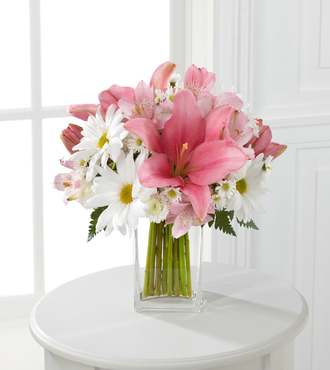 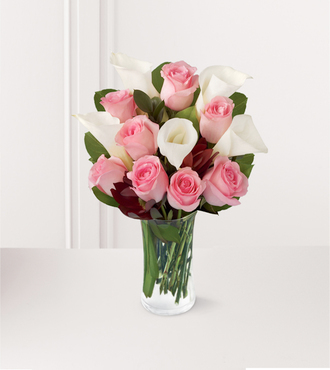 The FTD Happy Times Bouquet employs roses and stock to bring vibrant color and fragrance straight to their door on their special day. 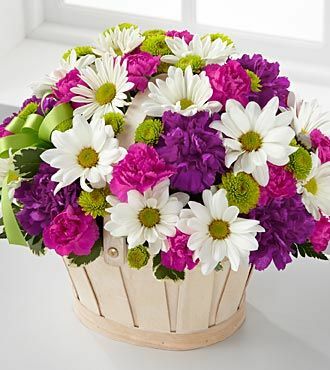 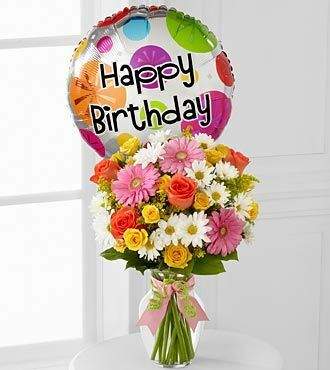 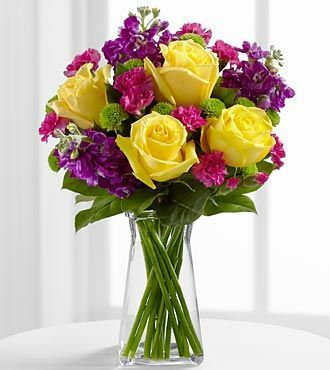 Yellow roses, purple stock, green button poms, fuchsia mini carnations and lush greens create a stunning display beautifully arranged in a clear gathered square glass vase to help you convey your happy birthday wishes or send your congratulations. 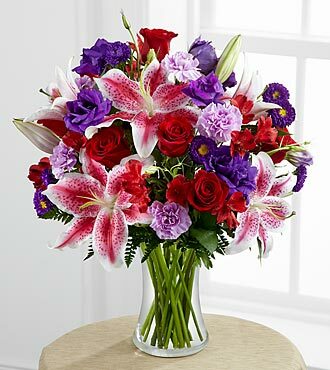 Approximately 20H x 16W.